It is said there are ninety-nine Arabic words for love. Bea, an American exchange student, has learned them all: in search of deep feeling, she travels to a Middle Eastern country known to hold the 'The Astonishing Text,' an ancient, original manuscript of a famous Arabic love story that is said to move its best readers to tears. But once in this foreign country, Bea finds that instead of intensely reading Arabic she is entwined in her host family's complicated lives--as they lock the doors, and whisper anxiously about impending revolution. And suddenly, instead of the ancient love story she sought, it is her daily witness of a contemporary Romeo and Juliet-like romance--between a housemaid and policeman of different cultural and political backgrounds--that astonishes her, changes her, and makes her weep. But as the country drifts toward explosive unrest, Bea wonders how many secrets she can keep, and how long she can fight for a romance that does not belong to her. Ultimately, in a striking twist, Bea's own story begins to mirror that of 'The Astonishing Text' that drew her there in the first place--not in the role of one of the lovers, as she might once have imagined, but as the character who lives to tell the story long after the lovers have gone. With melodic meditation on culture, language, and familial devotion. 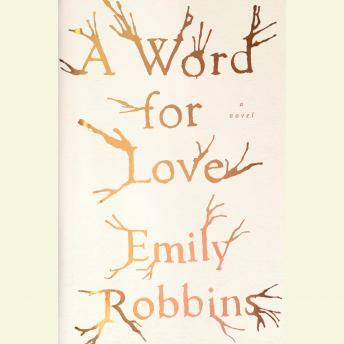 Robbins delivers a powerful novel that questions what it means to love from afar, to be an outsider within a love story, and to take someone else's passion and cradle it until it becomes your own.